This well maintained , move in ready home featurea 3 bedrooms, 2 1/2 bath, hard wood floors , large open kitchen with a large second story deck over looking the stocked fish pond and blueberry fields. The walk out basement has a finished work out room and could be finished easliy to your disire .This property has 40 acres total! 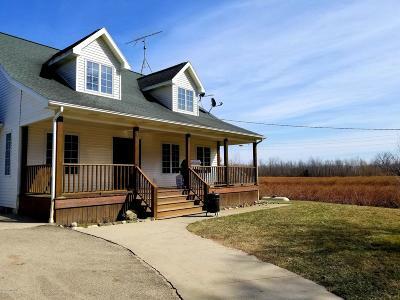 The home sitting on over 4 acres , with 2 other parcels, with over 25 acres of high producing blueberries!! 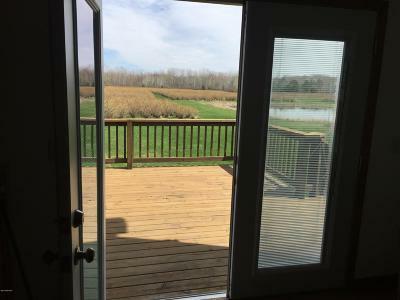 !The is also 5 acres of tillable land, and a pole barn. With25 acres of high producing blueberries , a beautiful home , and stocked fish pond, this is a rare find ! Please note: this listing is for 3 parcels.